How will you reward your customers? You're busy with the day to day operations of your business so leave the customer retention to us! Loyalty Gator offers a wide variety of solutions. Whether you're a business owner wanting to increase loyalty and sales, a company looking to reward employees, or an educational institution looking for a great way to motivate your students, we have a perfect solution for you! Prefer a card-less program? Loyalty Gator works with or without cards - so the choice is up to you! We offer great loyalty programs to help you retain customers and build your business. Whether you're looking to award points on dollars spent, frequent purchases, or referrals, our flexible solutions help you implement a program style that's right for you. Click here to see more information about our Loyalty Programs. Ditch those outdated paper certificates and get a customized, simple gift card program. The best part about the gift card program is you get it absolutely free when you sign up for one of our standard loyalty programs. Check out our Gift Cards Program page. Recognizing performance with a rewards program is a great way to continuously motivate your employees and engage them in reaching certain goals. Plus, employee loyalty has been linked to increased customer loyalty. Check out more about our Employee Loyalty Program here. The coalition program connects multiple merchants to a single points program or gift card program. Coalitions are generally geared towards shopping centers, local affiliations, industry affiliations, etc. Find out more about our coalition loyalty programs. Click here to learn more about Coalition Programs. The Two-Tier loyalty system connects multiple merchants to a shared points or gift card program where the customer earns a bonus each time they perform a transaction at a participating merchant. The Two-Tier loyalty program is great for shopping centers, buy local initiatives, or charities. Click here to learn more about Two-Tier loyalty programs. Not sure what the best solution is? Head over to the Contact page and send us a message. We are happy to discuss what your goals are and help you develop the perfect loyalty solution for your business. The program is very easy to use. It's simple, yet fits all of our needs. Loyalty Gator's customer service is fast, friendly, and very helpful. 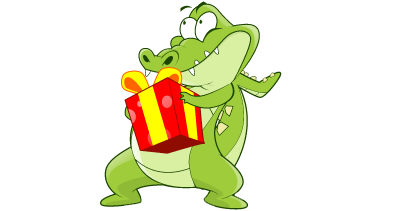 With Loyalty Gator, our loyalty program helps with our customer retention.